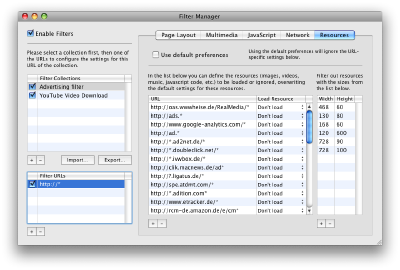 Today, there must be nearly three dozen web browsers to choose from to use on your Mac. Back in the day, there were basically three main choices for a Mac browser – Safari, Netscape Navigator, or Microsoft’s Internet Explorer (which was nicknamed Internet Exploder for reasons obvious to users). There were some browsers on the fringe but they were few and far between. As computing became more common in the household, the number of browsers to choose from slowly started growing. I tried several but settled on one choice that I particularly liked. The name: iCab (http://www.icab.de/). It comes with the usual customizable toolbar, kiosk mode, download manager, choice of search engines, and such. But it provides you with such an incredible plethora of customization. 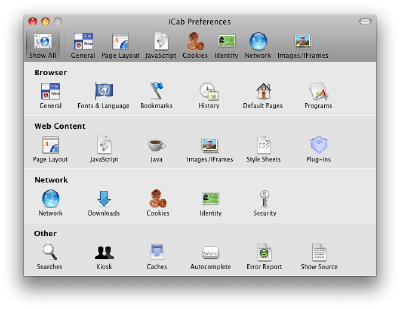 iCab (http://www.icab.de/) preference pane could easily be mistaken for macOS’s preference pane due to it’s size alone. 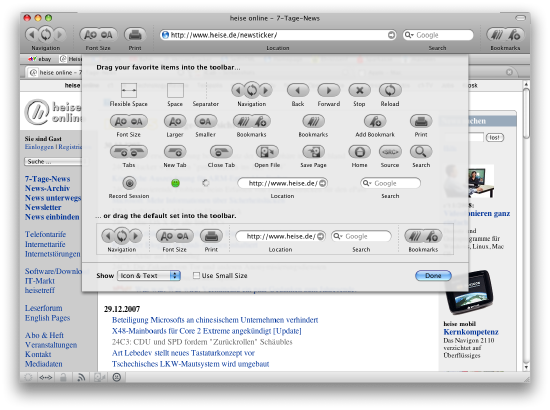 I did find iCab (http://www.icab.de/) to feel a bit zippier than Safari. But it did have problems with some sites. ScreenCastsOnline (https://screencastsonline.com), for example. If I left the page, even without closing the tab, it would ask me log in again. This happened every time. Again, I have no explanation for this. It may be a bug or it may be that iCab requires more tweaking than I can provide with my limited skill set. Go to their Downloads (http://www.icab.de/dl.php) page, download the appropriate copy for your version OS, and give it a test drive to see if it’s right for you.